Cheap Weatherproofing: If You Can�t Beat the Canadian Cold, At Least Don�t Let It In! According to TransCanada, Ontario is expected to have a cold and stormy winter this year. In fact, some areas have already seen snow! Whether or not this year’s Farmer’s Almanac and meteorologist predictions for an intense winter pan out, there is every logical reason to make sure your home is weather-safe and ready. Taking the time to weatherproof your home can lower your winter utility bills by as much as 20 to 30 percent (anywhere from $471 to $707 based on an average annual home energy bill of $2,358) this winter season! The most expensive aspect of weatherproofing your home will undoubtedly be your time. This is because the supplies required to complete most routine weatherproofing and sealing jobs are typically quite economical! Goggles, ear plugs, hard hats, gloves, knee pads, face masks and similar safety wear can keep you safe while you work to weather seal your home space. There are several different types of caulk. Silicone and acrylic latex are both good choices. Use the former in higher temperature sealing jobs (such as in attics or crawl spaces). The latter is a great all-purpose choice for most other jobs. Expect to spend $2 to $8 for regular caulk and around $14 for high-temperature silicone calk. Fiberglass insulation comes in both faced and unfaced versions. The unfaced version is appropriate in any situation where you don’t need a vapor barrier. Otherwise, use the faced version. Fiberglass insulation is generally quite inexpensive (around $1 per square foot). Polyurethane spray foam in a can is a great choice for plugging gaps up to 3 inches across. Just be sure to mark out all work areas in advance since the foam itself will clog up the little applicator straw after about 120 minutes of use! A can of spray foam typically costs around $5. 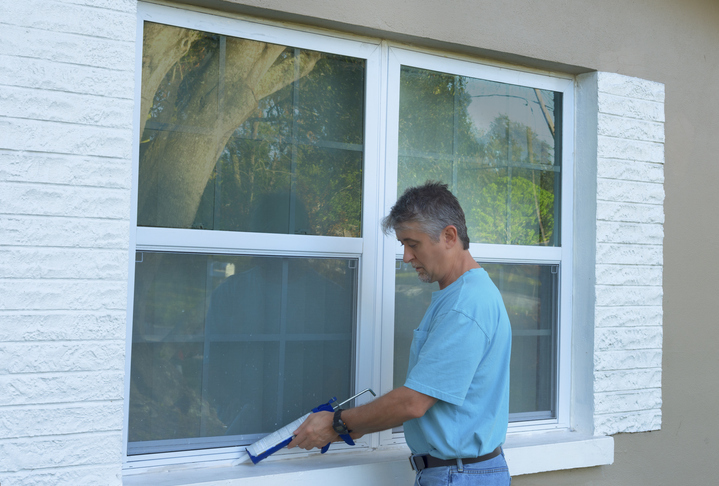 There are different types of weather stripping, from self-stick plastic that is simple and quick to install to aluminum flashing (also called aluminum insulation) that acts as a radiant barrier in all weather conditions. Foil and foam weather stripping typically has a self-adhesive backing you can just pull away to install it. Aluminum insulation will be the priciest at around $12 per square foot. Reflective foil weather stripping, conversely, may run you only $2 per square foot. This handy energy graphic from the U.S. Department of Energy’s Energy Saver program can help you identify the most common areas where air can leak out of your home, carrying some of the cash in your wallet along with it! Your first task will be to identify the main areas where air is leaking out of your home. One of the easiest identification methods is simply to walk around your home to take a look for small holes, degraded weather seals and gaps around doors and windowsills. It is important to take all safety precautions, especially when working in tight access areas such as attics and crawl spaces or areas where ladders are required for access. If you have a home with older ductwork that needs major repairs, you may want to consider hiring a professional. Here, caulking and weather stripping or insulation typically go hand in hand to completely seal up areas where air leaks or drafts are present. First, apply caulking to seal around windows, hatch doors and stairs, pipes, ducts, exhaust vents and registers, utility boxes and indoor/outdoor appliances, electrical wiring conduits and chimneys/flues. Once the caulking has dried, apply the weather stripping or insulation to thoroughly seal the area against air leaks. Be sure to use high-temperature/high-pressure caulk or foam insulation in areas that regularly get hot, such as near wires, pipes and ducts. For doors, installing door sweeps along the floor and weather stripping panels along the sides and top can keep drafts from chipping away at your energy bill this winter. In addition to weather-sealing areas where air is leaking out of your home, there are other actions you can take to protect your winter energy budget. Programming your thermostat can keep you from spending money heating an empty house. Replacing your existing light bulbs with LED (light emitting diode) Energy Star-rated energy-efficient light bulbs is another way to trim your energy bill. Reducing your hot water heater temperature to 120 degrees Fahrenheit (48.89 degrees Celsius) can reduce your hot water bill and guard against accidental scalding. Finally, scheduling your annual heating appliance safety inspection and tune-up ensures your appliances are working as efficiently as possible to heat your space all winter long. Here at Shipton’s Heating & Cooling, our goal is to make sure you have a reliable, safe and energy-efficient source of heat for your family this winter season. Have you scheduled your annual furnace safety inspection and preventative maintenance service? 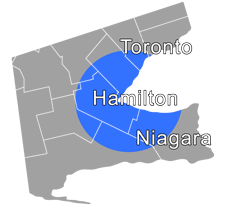 Contact us online or give us a call at 905-549-4616 to schedule your service today!